We all know how important are free design resources when it comes to graphical design, and today we have some more resources for you. These resources aren’t for the Photoshop, but they might work in it as well. Today we have some free vector resources for Illustrator, and I’m sure that you’ll find a proper use for them. As you know, holiday season is coming, there’s Christmas and New Year, and what’s a New Year without snow? Therefore, Santa Clause decided to come earlier this year, and it has brought you some free snowflake vectors that you can use in your designs. Apparently, you have been good this year, so Santa has brought you a lot of vector snowflakes for Adobe Illustrator. Today I have 130+ free snowflake vectors that you can use in Illustrator and some of them can be imported in Photoshop as shapes as well, so I’m positive that you’ll do something great with this free set of vectors. 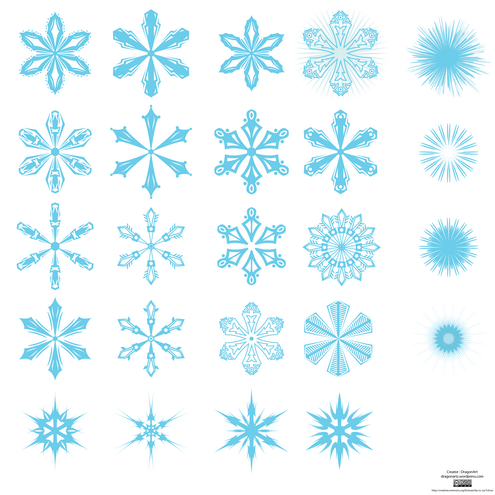 If you want snow for the upcoming holidays, download these vectors so you can have a lot of snow, in your designs at least, for New Year and Christmas. So what are you waiting for? Santa is coming earlier this year so download these vectors and use them in your designs.